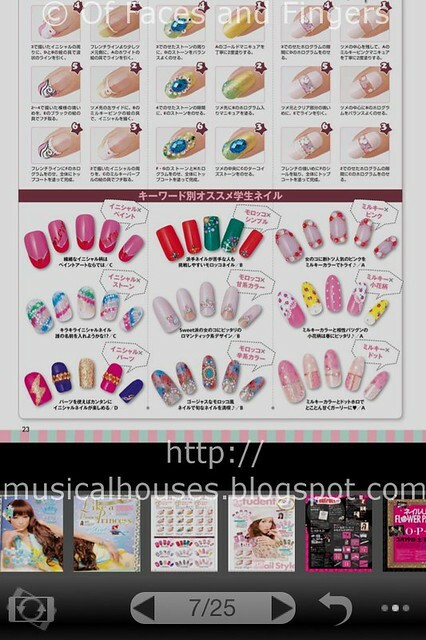 Nailup ネイルアップ iPhone App Review: Japanese Nail Art on your iPhone! Ever since I got an iPhone, I've been trawling the App Store for beauty and nail-related apps, just because you know, I'm that much of a makeup/nail polish junkie. Unfortunately the makeup apps I tried were all kinda crappy, but there were quite a lot of pretty great nail art iPhone apps out there, so I thought I'd start a series reviewing some of these nail art iPhone apps for you. A lot of them are Japanese apps, so I'll include some instructions on how to navigate through these apps, as well. That said, you don't actually need to know much Japanese to do that - I only have a pathetic one year's worth of Japanese language study under my belt, and I did it! 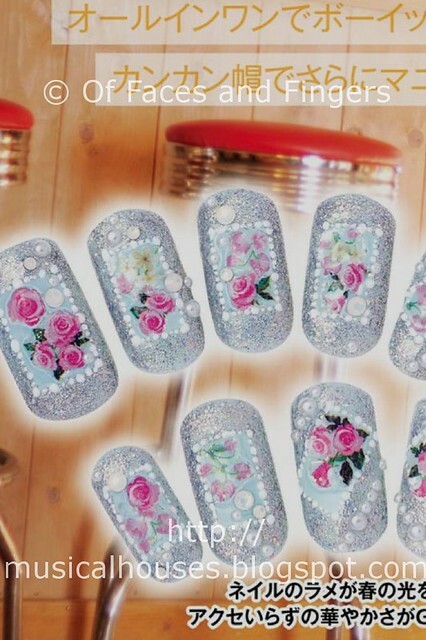 So let's start with the first in the nail art iPhone app review series - Nailup! Lite. The Nailup! app actually comes in two versions, Nailup! 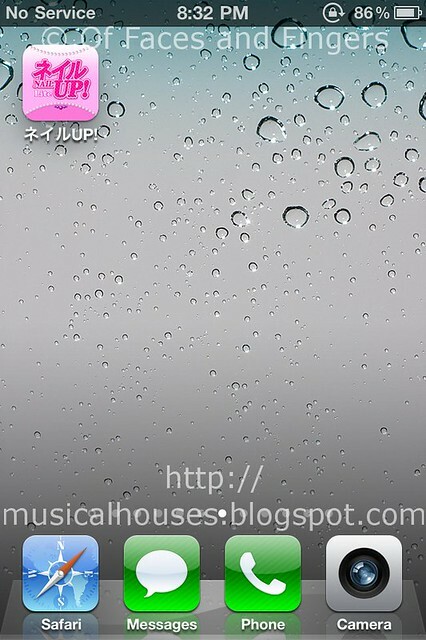 Lite, which I'm reviewing (because I"m a cheapskate and never pay for apps), and Nailup!, the full version of the app. It's the iPhone version of the Japanese nail art magazine, Nail Up Magazine (ネイルアップ if you're wondering how it's written in Japanese). The difference is that the Nailup! full version has the entire magazine and is updated, while Nailup! Lite only has a few pages and isn't updated. When you open the app, the first thing you'll see is a random page of the Nail Up magazine, together with a little pop up showing you how to use the app. Its pretty simple. You swipe sideways to move back and forth one page at a time, and you can display the toolbar for more options by double tapping on the screen. This has the simplest controls out of all the nail art apps, and there isn't really anything you can't learn on your own. One of my favourite functionalities for this type of app, where you're really just looking at pretty photos for inspiration, is the zoom functionality. You can pinch out to zoom in, and pinch in to zoom out. Pretty nifty, eh? The zoom does let you look at the nail designs etc in relatively good detail, which is always appreciated. Here's a page pre-zooming in. And here's me zooming in on a particular nail design on the page that I liked. Pretty good zoom! All in all, I'd say this is a good app, and especially useful if you're just looking for pretty nail art photos for inspiration, or just to ogle gorgeous nail designs. However, because the content isn't updated at all, looking at the same 25 pages gets pretty boring after awhile. So this app would be a "download, read, and then delete" type of app in my iPhone stash. It would definitely help if the pages were updated more often. But for a free app, well, it's worth downloading it, even if you only ever read it once.